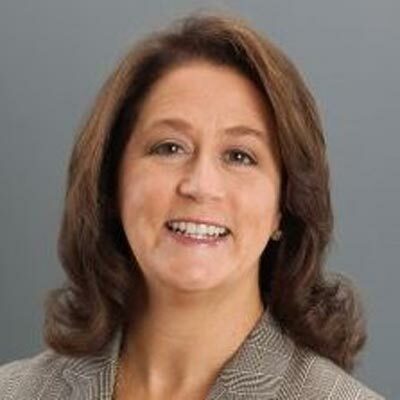 Linda Hutchinson is NA Channel Leader for Ciena Corporation, a network strategy and technology company. She is responsible for Ciena's channel go-to-market strategy, partner sales, and field enablement for Value Added Resellers, System Integrators, Solution Providers, Tier 2 Distributors, and Managed Service Providers covering the Enterprise, Federal, and Network Operator markets. With over 15 years of leadership in channel-centric roles, she is known for "connecting the dots" to anticipate where high tech markets are converging and being a change agent transforming sales organizations into high performing teams. Prior to joining Ciena, she held senior sales leadership, corporate strategy, global alliance, and channel development roles at Avaya and Nortel where she drove consistent achievement against targets ranging from $50M to $1B. Having also launched an information security and risk management consulting firm, S2R Execution Bridge, Ms. Hutchinson is a strong advocate for women in business, data privacy, and STEM. An active WIT Girls (www.mywit.org) volunteer, she formerly led the Career Explorations team focused on raising STEM awareness within middle and high school girls. Ms. Hutchinson received her Bachelor of Electrical Engineering degree from Auburn University and her MBA from Emory University. Since coming to Ciena, Linda has focused on building a more channel-centric culture, driving growth, increasing collaboration, improving operational efficiencies, and strengthening partner relationships through open dialog and business strategy alignment. She led the reorganization of the NA Channel business, combining Resell and MSP business units which drove 24% YoY growth, and crafted the strategy to evolve from transport channel fulfillment business to a growth channel focused on MSP, software solutions, vCPE, SDN and Data Center Interconnection. Ms. Hutchinson spearheaded the team that revamped Partner Field Sales training content and delivery to focus on end user business needs and "how to sell and position together" in a modular, lunch and learn format versus leading with a product-centric approach delivered through a standard, on-demand training platform. As internal NA Channel evangelist, she reached across siloed teams to align channel strategy, raise visibility, and leverage channel resources more effectively for a unified channel GTM approach. Ms. Hutchinson's 2018 business objectives are to increase the percentage of overall channel business by 10% with deeper penetration in Enterprise, Federal and Data Center markets, and to double the contribution of Deal Registration partner-led Resell YoY bookings. Her strategic goals for NA are to establish an industry standard Tier 2 Stocking Distribution model, launch a Consultant Liaison Program, and selectively recruit data center networking centric channel partners. Spirit of Ciena Team Nominee Submitter: Robert Auci CEO selects winners for demonstrating Ciena Core Values: Customer First, Integrity, Velocity, Innovation, Outstanding People Nominated for work done as a member of GPO team to: • maximize the value of our partnerships via program design features and enablement tools • retool partner infrastructure to provide scale and increase velocity • enable partners to become true extensions of the Ciena organization. Ciena Applause Recipient: Nominated by Frank Griffith for Partner University session for Innovation, Leadership and Vision. Ciena Bravo Recipient: Nominated by Fasil Hawa for demonstrating Core Value: Outstanding People. Grace Hopper - As a pioneer of women in technology, she penetrated the upper echelons of the military (US Navy Rear Admiral) in an age when few women had the opportunity to pursue STEM careers. Her technical expertise in computer programming and leadership style made her a trailblazer that laid the groundwork for all of us that followed. She considered her greatest accomplishment the training of young people. She believed in fueling their curiosity and the drive to take risks. I would tell myself to start giving back earlier in my career! The impact that you can make in the lives of young women, especially those lacking professional role models, is so important and tangible, that I wish I had started volunteering as a STEM advocate from day one of my career. Sharing personal and career experiences that help shape the next generation to grow stronger, rise faster, and to not be afraid to make mistakes or refocus their career journey is both a gift and a responsibility that I believe all women in leadership positions should embrace. I would love to be better at crafting a more compelling story. I believe it's an important skill that aids in connecting with, and bringing together, partners, customers, and internal stakeholders to drive growth throughout the channel. To be successful, you must be able to understand what's important to each of them and architect a GTM model that aligns all parties' objectives wrapped within a real business storyline that resonates with each of them personally and professionally. When you can truly tell the story from others' perspectives, you will have a more compelling value proposition to do business together. "Cracking the Sales Management Code" by Jason Jordan. It takes a practical look at what sales leaders can materially influence and actively drive with a measurement focused view to deliver results. I like it because it combines not only high-level strategy insights but also provides a tactical approach to execute more effectively in the field. The book was simple to read and easy to apply learnings in the field.